It would be fair to say that salt is the cornerstone of all things culinary. It is a key ingredient in nearly all recipes, and can be solely responsible for turning a dish from bland to beautiful. Salt is also an absolutely essential part of both human and animal life due to the sodium that is contains, which is used to maintain some of the body’s most integral functions including regulating fluid in blood cells and helping to send information to nerves and muscles. Our bodies cannot actually produce salt naturally, so it down to us to provide ourselves with the sodium that we so need. Many people don’t realize that the salt we add to our foods is usually only a small contributor to our salt intake. The typical modern diet is full of processed foods that contain lots of sodium, far more than you would ever add to foods that you make yourself. So as you begin to eat an improved diet, you will often tend to eat less sodium. That’s why adding a good quality salt is a great idea. Consuming adequate sodium is particularly important for those who are adrenally fatigued. It goes some way to redressing the typical sodium/potassium imbalance that is caused by low aldosterone levels (this is the hormone that regulates blood pressure, water reabsorption, and mineral conservation). If you’re suffering from mild adrenal insufficiency and you eat a diet low in sodium, consider adding half a teaspoon of salt to your glass of water each morning. 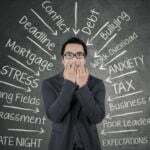 It may help your body cope with stress a little more effectively. There are a number of different varieties of salt available to consume. 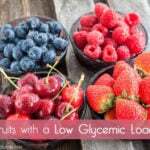 Here are some brief notes on the most popular types, with information about their individual nutritional values. Refined salt is your regular table salt, and is the most commonly used variety throughout the world. Food grade refined salt is usually upwards of 97% sodium chloride. Being so refined and ground up, this salt poses the risk of ‘clumping’ together, so various substances known as anti-caking agents are added to the salt to ensure a free flowing grain. Amounts of iodine are also added to table salt, which may be beneficial to the prevention of various health problems including mental retardation and hypothyroidism. However, this salt lacks any of the trace minerals found in other salts in this list. Kosher salt originated as part of the Jewish community and is still widely used today. The main difference between regular table salt and kosher salt is that the structure of the grains is of a much more flaky nature. Though in its dry form kosher salt has a different texture and more intense flavor burst, once dissolved in food it bears the same resemblance to refined salt. However, kosher salt is much less likely to contain additives such as anti-caking agents and iodine. Much like regular table salt, sea salt is a mostly pure form of sodium chloride. It is produced by evaporating seawater and structurally is a little courser and less ground than refined salt. Depending on the nature of how sea salt is harvested, there is a risk of the finished product containing impurities such as lead. Himalayan salt is harvested in Pakistan and contains trace amounts of iron oxide (rust), thus giving it is interesting pink color. The main difference between this type of salt and the others mentioned in its unusual color, but it has also been found to contain trace elements of calcium, magnesium and potassium, and it also has a slightly lower sodium count that other varieties. Celtic salt is a variety of salt that originally found much popularity among the natives of France. As opposed to the pure white of kosher or refined salt, Celtic salt has a grayish tint to its color, and also contains an amount of water resulting in a product that is quite moist to the touch. Celtic salt has been shown to contain trace amounts of several different minerals and is also lower in sodium content than regular table salt. Should You Change Your Salt? So are there any real differences in taste between these types of salt? Whilst all possess that long lasting, addictive taste, those salts such as kosher salt and Himalayan pink salt often contain a more intense ‘flavor pop’ due to the larger, flakier nature of their individual grains. This makes a big difference in salads, but once these salts are dissolved in cooking the flavors remain very similar. More importantly, which variety of salt is the most nutritionally beneficial? Personally, I only use Himalayan Pink Salt in my house. Varieties such as Himalayan Pink Salt and Celtic Salt contain trace minerals that you might not be getting elsewhere. Although they are found in only small amounts, this does mean that these salts are nutritionally preferable to regular table salt. Remember also that table salt contains anti-caking agents like Sodium aluminosilicate, which some have linked to placental problems and Alzheimer’s due to its aluminum content. Just like with other foods, less processing and fewer additives usually mean better nutrition. I was just wondering about this the other day! 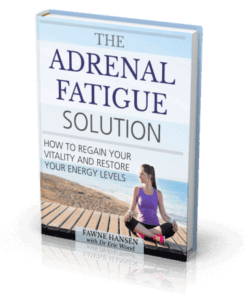 Thanks for the great info and help on adrenal fatigue… I’ve learned things that I can put into practice right away to start the healing process.